Robin Brown (Hayes Community Forum) discusses how industrial land in Hayes is being re-used and re-developed, exposing a tension between the aims of the council (to attract people from other places) and the residential community (to secure access to jobs) in relation to economic development. On 25 September, Just Space Economy and Planning held its 2nd meeting, which aimed to bring together community and business-led campaigns and initiatives under the broad topic of ‘Planning London’s Economies from the Grassroots’. We heard from Hayes Community Forum (Robin Brown), Peckham Vision (Eileen Conn) and the East End Trades Guild (via UCL student, Anjuli Sethi). 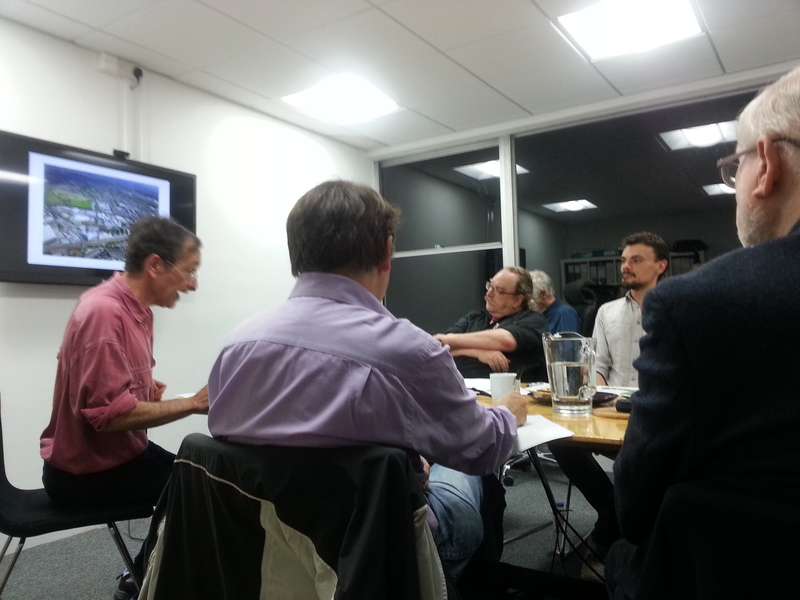 These inputs generated a rich discussion, in which examples of community and business engagement in planning in Waterloo (via the Waterloo Community Development Group, the Better Bankside Business Improvement District (BID) and the South Bank Employers’ Group) and in Greenwich (via the London Thames Gateway Forum) were introduced by Michael Ball and Roy Tindle respectively. Some of the key issues raised were the loss of employment space in London and the relationship between the housing market and the rest of the economy; the difficulty planning and planning officers had in engaging with the messy, organic nature of London’s economies, and small businesses in particular; the dominance of big businesses and property developers in planning; and strategies and tactics for engaging in economic issues in planning. More detail in the note of the meeting here.